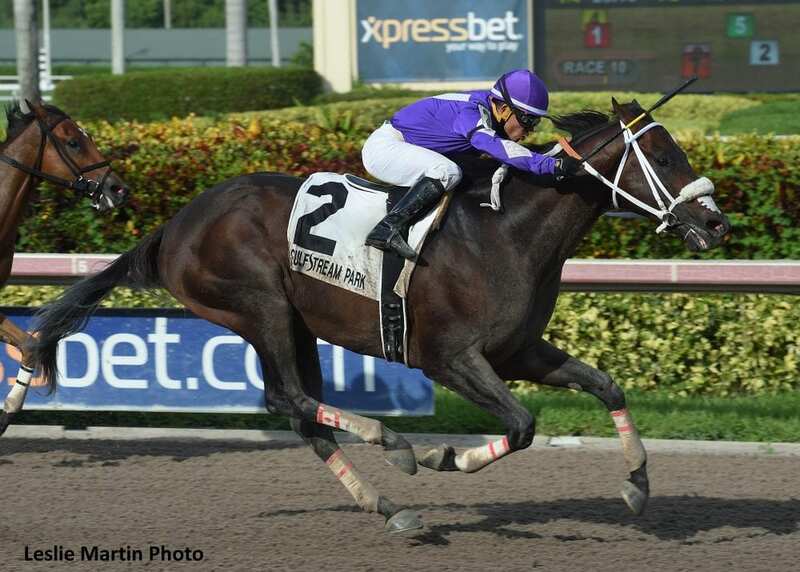 Ricardo Vallejo's Deland, a Grade 1 winner in Puerto Rico, broke through with his first stakes victory in the U.S. Sunday in the $75,000 Coast Is Clear at Gulfstream Park. Ridden by Emisael Jaramillo, the 6-year-old gelding ran a one-turn mile in 1:35.86 to win for the first time in his five starts since leaving Puerto Rico. The Florida-bred son of Gottcha Gold, who won 10 of 16 starts in Puerto Rico, came to the U.S. last fall to compete in the Dec. 9 Clasico del Caribe at Gulfstream Park. “This horse came here for the Caribbean Classic but when he got to Miami he had a hoof injury and couldn't run,” trainer Victor Barboza Jr. said. Deland ($10.80) settled off the pace set by Conquest Big E, the 6-5 favorite who set fractions of 23 (seconds), 44.97 and 1:09.11 before relinquishing the lead to Zipping leaving the turn into the homestretch. Zipping, who had pressed the pace into the stretch, repelled a bid by multiple-stakes winner Mr. Jordan and maintained a lead into mid-stretch under Tyler Gaffalione, only to be overtaken by Deland. Deland was transferred to Barboza's Gulfstream Park stable before finishing a close second in a June 29 optional claiming allowance race after setting the pace. Zipping held gamely to finish second, 1 ½ lengths ahead of a late-charging Hy Riverside, who had beaten Deland last time out. Conquest Big E., who won the Gulfstream Park Mile (G2) March 31, tired badly to finish out of the money. This entry was posted in Racing and tagged clásico del caribe, coast is clear, conquest big e, deland, emisael jaramillo, Gottcha Gold, gulfstream park, mr. jordan, puerto rico, zipping by Press Release. Bookmark the permalink.